Get your "local status card" and show off your community pride. Credit unions are your connection to premium financial services. Credit unions are your source for all your home lending needs including first-time mortgages and home equity loans. Credit unions have competitive technology, and many offer access to thousands of branches and ATMs through shared networks. Your money is safe with a credit union. Deposits are federally insured by the NCUA (just like the FDIC), and credit unions follow strict cybersecurity standards required by law. Credit unions have money to lend! 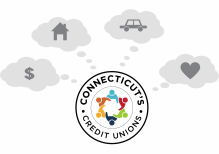 If you’re looking to score a good rate on your next loan, Connecticut’s Credit Unions are a trusted resource to help you get the money you need. Have questions? Great! Credit unions are available to answer all your questions, clear and transparent. Credit unions are invested in your success, not Wall Street's. Loans for cars, homes, and just about anything life throws your way. Helping you achieve financial success. Whether you’re savvy with money or not, credit unions can help you gain control of your finances and save for whatever your needs. Need a little extra incentive to save? 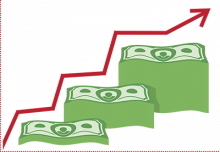 Connecticut’s Credit Unions are the only financial institutions in the state offering Save to Win. Think of it like the Powerball of savings, but without any of the risk. You can win up to $5,000 just for saving your own money!